Today is special because it is about spreading awareness about Parkinson’s Disease! 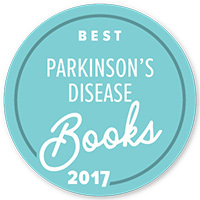 I am so proud and fortunate to be part of the Parkinson’s disease community and have the opportunity to share with you. I am so grateful for all the incredible people and close friends that Parkinson’s has brought me. The strength and friendship of the community is so energizing and inspiring! Today’s tee shirt is from the 2014 cruise to the Caribbean that my dear friends, Michael and Gretchen Church, organized and hosted! What a memorable event! 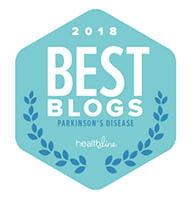 Tags: a soft voice in a noisy world, blog, books, Disease, doctors, education, Health, Karl Robb, medicine, Parkinson's Disease, positive thinking, support, wellness, World Parkinson's Disease Awareness Day! Powerful words stay with us and in a world of sound bites, there is no doubt that a good quote leaves a lasting impact. Here is my video on The Power of an Amazing Quote. Words inspire, motivate, and invigorate. Good quotes are memorable and timeless. I hope that you enjoy this reading! Feel free to share it – if you find this to be helpful! The month of April is upon us and this means a month of Parkinson’s awareness! There is an array of events, fundraisers, lectures, walks, and more that are planned for April, around the world. If you or someone that you care about is looking for an event in your area, you may want to Google: local Parkinson’s events in my area, or visit your favorite Parkinson’s organization/charity website to see what they have going on, or consult your local support groups, hospitals, clinics, to see what you might attend locally. We have updated our events page on this website for the speaking engagements that Angela and I will be presenting this month. If you are in the Northern Virginia area and have an interest in hearing us talk, please visit the 2019 upcoming events page and see what talk you think might interest you. We look forward to seeing you at one of the events on our list of future events! Watch for more upcoming events and updates! You may want to subscribe to our site, to get the latest post fresh off the press. In my 30 plus years of dealing with Parkinson’s disease and attending numerous events, conferences, walks, lectures, World PD Congresses, I have amassed an extraordinary collection of Parkinson’s disease related tee shirts which I will commemorate and share with you this April. This first tee shirt is sort of a mystery, but I believe it was created by my dear friend and Parkinson’s advocate, the late James Trussell. He was a dear friend and is greatly missed. He gave so much to the Parkinson’s community! The shirt speaks of unity and strength–what a perfect message to start Parkinson’s Disease Awareness Month! Watch for more tee shirts from my collection, this month! In 2003, I attended my first Young-Onset Conference in Atlanta where I met some great people and made lifelong friends. In 2004, I was asked to join the planning committee right after the Minneapolis meeting. In 2005, I would help organize and arrange conferences each in a chosen city until 2008: Phoenix, Reston, Chicago, and Atlanta. Attendance was strong, and the Conferences brought in people from all over the world. The Conference for many of us turned into a large family get together. The events were not only planned by the committee, but each member would present at the Conference as well. We were encouraged to live by example and to motivate the crowd. Our dynamic group of people with Parkinson’s covered an array of topics of how to live well with the disease. When you bring hundreds of people together with Parkinson’s disease (PD) in one place, everything Parkinson’s seems normal and the world outside our hotel seemed odd. A peace came over us, where explaining ourselves to why we were doing what we were doing wasn’t necessary. Parkinson’s was the normal for this closed and safe environment and we all understood one another. A symptom of the illness or a drug side effect needed no explanation, but if it did it wasn’t drudgery to relate. An overwhelming feeling of belonging and being part of something that was changing people’s lives provided us an amazing opportunity. When the final day of the event came around, parting was hard for us all. The medical information was helpful, but the living knowledge provided to us was empowering. What really made the difference in most of our lives was the freedom that we felt inside those walls and the relationships that we would take away. It takes a special event to recall so many joyous encounters around what could have been a maudlin event—but it was not. The unity of these participants was unlike any other that I had ever seen. The newly diagnosed were being encouraged by those who had a little more experience with the illness. For many of the attendees this was there first conference devoted to Parkinson’s as well as the first time meeting another person with the disease. This was an important moment for thousands of people with Parkinson’s disease. This was an event sponsored by a large foundation, organized largely by a committee of 7 or 8 Parkinson’s patients, which focused on educating, empowering, and enriching those diagnosed with PD. Most of the lectures were from those living with the disease and not those attempting to treat this disease. Who better to advise on how to live with an illness than those living with the experience? There is a place for medical conferences where the program is filled with medical expertise and experts related to the illness of choice. Far too often, I see conferences about living well or living better, but the conference organizers neglect to include the ones who are living with the condition. The ones who are living well with the disease are the experts, in my opinion. A doctor can tell you about research, medications, studies, and possible medical procedures, but they can’t tell you what it is to live inside our bodies. They can speculate and imagine, but it just isn’t the same. A conference for people with a specific illness, like PD, ought to be planned by the ones who understand it the most. Expression and making our voice heard is hard enough but if you throw in a neurological wrench like Parkinson’s disease, a whole host of challenges can arise. Some of us speak softly while others may find it difficult to form words or sentences. Our words are often judged be it vocabulary or elocution. But, real expression goes beyond the boundary of words as the transcendence of understanding relates to us through the mediums of photography, oils, pencil, music, film, video, and a host of other outlets. How we interact with the world is only limited by our imagination. Through the medium of painting, viewers and appreciators experience the work at a gallery or museum, but this is limited access. Paintings gather deep and powerful feelings and yet limit a very particular sector of the overall population. Whether you are a viewer or creator of art, our understanding of the medium and the message make a difference in the impact. There is no doubt that the artistic personality of anyone stifled by illness is at a loss without the therapeutic reward of a creative medium. Just as a dancer feels the urge to leap and twirl, those with limited mobility and restricted movement may need to express themselves in a manner beyond their media of choice. Bottled creativity may be wasted and untapped. The frustration and built up anxiety of sustaining our message or messages, only adds to feeding the powder keg. When done right, awareness and understanding can come about, through our expressions. Finding an outlet for any sensory message and making one’s “voice” heard is a human necessity, like breathing. Photography, for over 40 years, besides the written word, has been a favorite medium of choice. Every photo that you see on this site, for the past 10 years was taken by me. Capturing a moment in my life or nature through photography is gratifying and almost Zen-like. When I find myself in a mountain valley or a sun-drenched beach, my focus becomes nothing but the beauty around me. Those of us with limited options for expression must delve into exploratory mode to uncover the medium that we think fulfills the message that we mean to convey. This is art therapy. Offering creative solutions or even simple solutions can make a difference in a life. Adversity can bring us together, but it is love that can unite us. Without love and compassion, there is no sealed deal. When both parties are empathetic of the other, there is understanding. Common ground and communication may commence when both parties identify a shared outcome. If one party is incapable of having empathy for the other party’s condition, negotiation becomes far more complicated. Provide a safe place to live and maintain a household. Access to clean air, fresh water, good nutrition, health, education, and an opportunity to sustain those necessities. To provide for one’s family and feed, clothe, and educate them. Some leaders and celebrities exposed to power find it intoxicating and become engulfed in the overwhelming high that comes with authority. At what cost and sacrifice do we make excuses for anyone in public who condones the torrent of hurt being inflicted on government workers, who are just trying to do their job? Our government is famous for negotiation, compromise, and making policy. A government shutdown is a breakdown in everything that the United States of America is based upon. Our mission has always been to try to be a model for the rest of the planet. Hurting the poor, the sick, the elderly, and those workers living paycheck to paycheck only weakens our government and divides us even more. Creating controversy and misdirection hurts innocent families, be it democrat or republican, is a petty and a desperate act. I have yet to hear any understanding, compassion, or caring words to ease this humanitarian crisis. Love thy neighbor got lost somewhere and it is time to locate it quickly. Tags: a soft voice in a noisy world, blog, book, books, caring, compassion, Disease, doctor, doctors, education, global, Health, illness, Karl Robb, media, medicine, Parkinson's Disease, PDPatient, positive thinking, reiki, stress, support, wellness, Who is paying the price? Recently, I have been the recipient of kind acts from those who I don’t know. I am grateful. It warms my heart that an Etsy store owner gave us a beautiful serving spoon as a gift when we bought a book from her. Unprovoked, out of the blue, it was simply a kind act that touched both me and my wife. Share at least 1 genuine compliment with anyone you encounter in person or online. Do a little more for someone than what they asked, if you see that they are in need. Buy a homeless person a warm drink and a blanket on a cold evening. Keep an eye out for animals that may need medical care or shelter from the weather. Start a Go Fund Me page for someone in dire straits. Take time out of your day just to listen to someone who needs to be heard, without criticism. Offer your expertise to the less fortunate at a reduced rate or for free for your services. Join a non-profit board to help get an organization off the ground. Buy a cup of coffee, a morning sandwich, a side of fries, or a cookie for the person behind you in line. Give the person in line at the grocery store with 1-5 items, the right of way and let them go before you. Offer a stranger a smile, a laugh, or just a kind word of encouragement to make their day. Be a mentor, a friend, or just be a good listener to those seeking your counsel. Offering compassion and understanding to one in need is a wonderful experience. A phone call to alleviate a neighbor’s loneliness or sharing homemade cookies with the family down the block can change lives. Be kind to yourself and share that feeling with those around you. Sometimes just being a good listener is enough. Just helping one other can create a chain reaction of goodness. When we assist others, we help ourselves in the process. Be creative in how you make a positive impact in another’s life.